KUWAIT, Nov 18 (KUNA) — All of Iraq’s outstanding issues with Kuwait have been resolved as result of the commitment of both and it will carry out all of its commitments in 2015, Foreign Minister Hoshyar Zebari said on Monday. Iraq submitted a request to Russia for providing satellite images of mass graves committed by the former regime. The Presidency of the Council of Representatives announced on Friday to postpone the planned its next meeting, on Wednesday, to 17 of the current month of November. Lifting of the House of Representatives its usual to next Monday. Confirmed the Iraqi List, on Sunday, that the political blocs could “extend the work of the current parliament” for a specific time period in case of failure to vote on the election law, as shown that the blocs agreed by 85% to pass the law, pointed out that tomorrow’s meeting could see the law passed. MP for the National Alliance Salman al-Moussawi said the election law is ready for a vote within the parliament. Baghdad (AIN) -The parliament chairmanship decided the next Monday to be last date to discuss the Parlaimentary Elections Law. 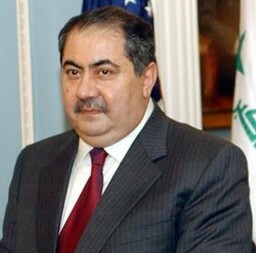 He attributed a member of the Committee on the economy and investment parliamentary Amer winner of underinvestment in the country and investors away, to the deterioration of the security situation and follow the routine in the instructions by local governments and investment authorities, pointing out that this is the cause of the damage to Iraq’s economy. Baghdad (AIN) –The parliament announced that the next Monday session will devoted to the vote on the Budget law of 2013. Baghdad / WAP / Download an economist Husam Obeid, the Iranian side, the direct responsibility for money laundering operations and currency smuggling from Iraq. Discusses the House of Representatives in session next Monday the government’s decision to cancel the ration card and financial compensation amounts. Baghdad (newsletter) … According to economy and Investment Committee member MP/Iraqi/coalition nahida aldaini, the inability of the State commercial banks to meet the requirements of investment and economic process alone in the country, due to a lack of capital, to encourage global banks to open branches in Iraq to contribute to the economic development. Baghdad (News) … Iraqi coalition candidate, said defense attorney Talal Al-zawbai, the candidates of the ministries of the Interior and defence will be after the Eid al-Fitr holiday. Baghdad (news) .. said economist Maytham and coffee, that political differences have a direct impact in blocking the movement of the economic sector. Baghdad (newsletter) … A senior government source ruled out by u.s. Vice President Joe Biden’s visit to Iraq on Tuesday. Company F predicted. Mother. G Swedish investment funds to manage strong growth of the shares, although the Iraqi instability that afflict the security situation in the country. Deputy for the National Alliance on Alfalh, to claim the International Monetary Fund cut the budget did not affect the budget of the provinces in order to reduce inflation is winning. announced the decision of the House of Representatives Muhammad Al-Khalidi, Monday, that the Parliament will vote during its meeting of 23 to be held next Monday, the Law on the financial budget for the year 2012.
parliamentary source, Sunday, that the meeting of the Council of Representatives of the 22 which will be held on Monday, will see the first and second readings of six draft laws including the Law on preventing the importation of games that incites violence.